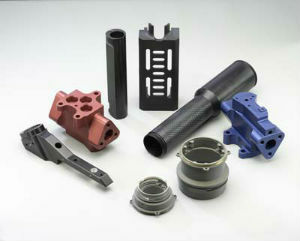 Anoplate Corp. offers metal finishing and related coatings meeting industry standards. Featured process include the company's AnoBlack coatings as well as anodizing, electropolishing, electroplating, and electroless nickel. Expertise includes specialized masking operations and selective plating processes. Anoplate Corp. has been serving the medical, aerospace, and precision machine markets since 1960. Anoplate has provided quality metal finishing services to industry since 1960. As a partner in your design process, we understand the important aspect of surface engineering as it relates to: corrosion resistance, wear resistance, friction reduction, light reflection, joinability, aesthetics and surface preparation.